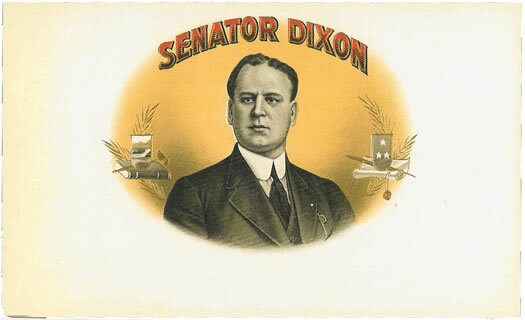 Senator Joseph M. Dixon was born in 1865 in North Carolina. In 1891 he moved to Missoula Montana where he became a lawyer and got involved in Republican politics. At the age of thirty-seven Joe Dixon was elected US Representative of Montana. In 1905, he moved to the US Senate.In the presidential election campaign of 1912, Theodore Roosevelt split off a new party called the National Progressive Party or commonly known as the Bull Moose Party. Joseph Dixon supported Roosevelt and became chairmen of this new progressvie party Dixon later bacome govoneror of Montana from 1921 to 1925 and later served as Secretary of the interior under the Hoover Administration. Dixon died in Missoula Montama on May 22, 1934.